Sciatica is the pain that starts from the lower back and extends to the buttock and legs. The pain associated with sciatica ranges from slight to severe pain and can be described as sharp and aching. 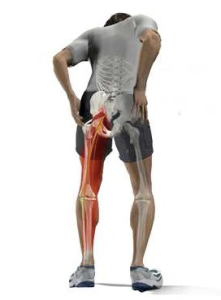 The shooting pain in the lower back usually makes standing erect difficult. Patients also complain about weakness of the muscles, numbness and tingling in the legs and toes. A disturbing muscle cramp can also be experienced in the buttocks area. Diminished reflexes are also manifested in the knees and ankles. Sciatica is caused by the irritation and compression of one of the nerve roots that come together to make up the sciatic nerve. The sciatic nerve starts from the lower spine and travels down the legs, transmitting pain and pressure sensation in the lower extremities. Typically sciatica is the result of a herniated disc or a condition called spinal stenosis. This may lead to inflammation of one or multiple nerve roots, with resulting pain and/or numbness going down the affected side. What Treatment Plans Help with Sciatica? The Seattle pain physician will usually refer the patient to a physical therapist and/or a chiropractor. These treatments may provide exceptional pain relief. What is the Prognosis for Sciatica? Although the pain associated with Sciatica can be severe, it is typically relieved without surgery. Over 95% of the time, nonoperative treatments are able to provide relief. 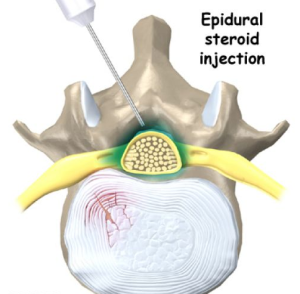 Studies have looked at the pain relief provided for treatments such as epidural injections. Results have been effective 75-90% of the time. A landmark JAMA study in 2006 compared nonoperative sciatica treatment to operative treatment. The outcomes at the one year point were no different. Seattle Pain Relief offers comprehensive treatment options for sciatica including several different types of epidural injections. The Board Certified Seattle pain management doctors help patients obtain relief, with most insurance being accepted.